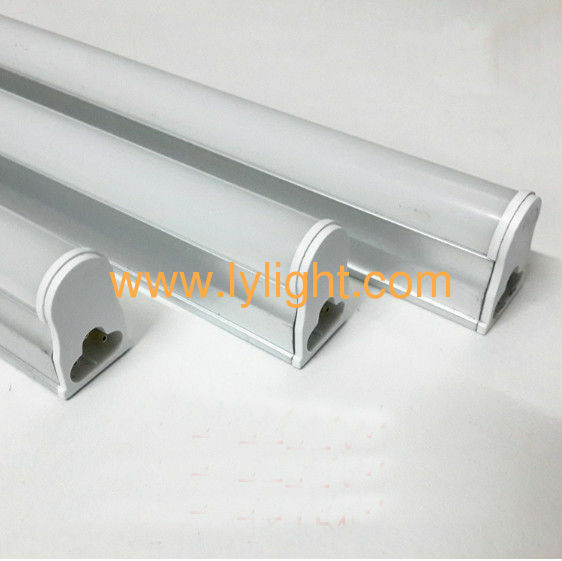 (1) T5LED fluorescent lamp and T5LED lamp tube are made by constant current source. The use voltage is wider 12V~85V, and the range of voltage fluctuates more. The quality of the product is guaranteed, and the common products in the market use cheap resistance to depressurization and easy to failure. (2)With epistar chip SMD2835 power 5W, with higher brightness. (3)The lamp with aluminum PCB, the thermal grease is added between the lamp PCB and the bracket, the heat be dissipated In time, the temperature is very low.